They lack the balanced sound of some similarly priced models. 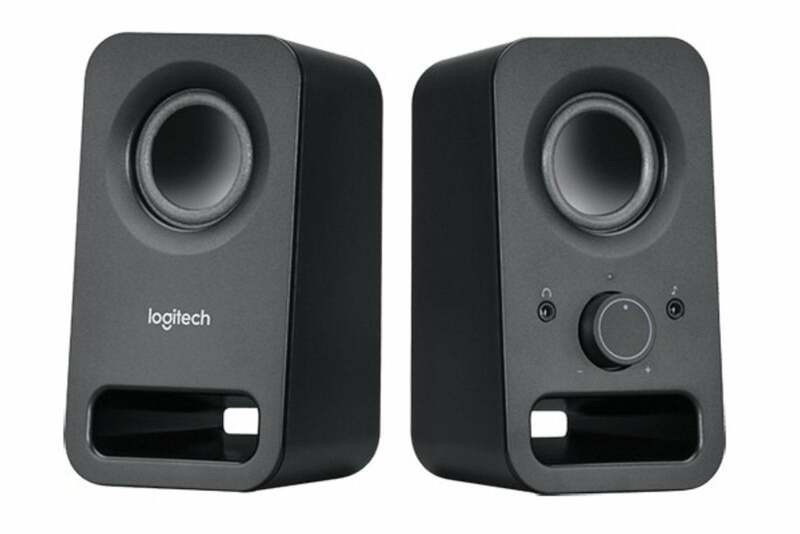 Logitech’s Z150 stereo speakers cater to those with simple needs. No flamboyant designs or crazy amounts of connectivity options for these users. It’s enough to find a pair that brings a little extra volume and clarity to our computer audio and fits on our desk. 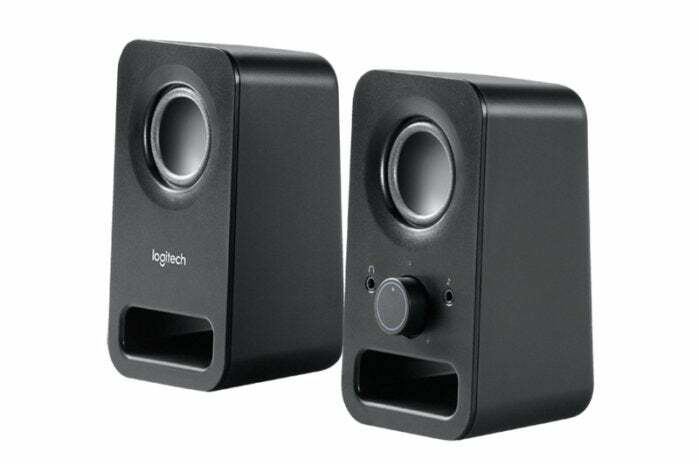 Even within our budget PC speaker roundup, this pair (not even $20 currentlyon Amazon) is notably inexpensive and unassuming. As you’d expect with entry-level speakers, the Z150 set is small, lightweight, and slim on features. The enclosures measure 6 x 3.3 x 3 inches (HWD), and each are constructed with matte-black plastic, weighing just over a pound. The 2-inch speaker drivers are uncovered on the front panel, and the control unit has a power/volume knob, a headphone jack, and input for other devices like your phone or tablet. A cutaway at the bottom of each speaker seems to be for aesthetic purposes rather than any sound enhancement. The speakers require minimal setup. They’re hardwired together, so you just need to plug the detachable power cord into an outlet and the 3.5mm cable attached to the back of the control unit into your PC. With no subwoofer, these speakers’ bass response underwhelms. With 6 watts of peak power, these speakers can get plenty loud. I kept the volume knob at the halfway point (my PC volume was set to max) during deskbound listening. The sound quality is better than you’d expect at this price point: The stereo separation is excellent and the mids and highs are clear and full. However, with no subwoofer or other bottom-end support, the bass is clear but has no depth and could easily get overpowered by the rest of the track. At higher volumes, the highs started to suffer a little, too, with cymbals getting harsh and some sibilance creeping into the vocals. One quirk of the Z150 is that though it includes a jack for headphones, it offers no amplification for them. If you plug in for some private listening, you’ll quickly notice that the speaker’s volume knob has no effect. Instead you have to adjust the volume in your system settings. This is a common complaint about the speakers in online user reviews. The Z150 will bring clear sound and nice volume boost to music and movies played on your PC or mobile device. If your expectations—and your budget—are modest, and the lack of bass response isn’t a deal-breaker, they are a decent upgrade for the cost. But If you can squeeze another $5 or $10 out of your bank account, slightly more expensive models in our budget PC speaker roundup will give you much more bass for the buck. The Z150 are an average upgrade over your PC speakers, but you can get more bass for your buck with similarly priced alternatives.